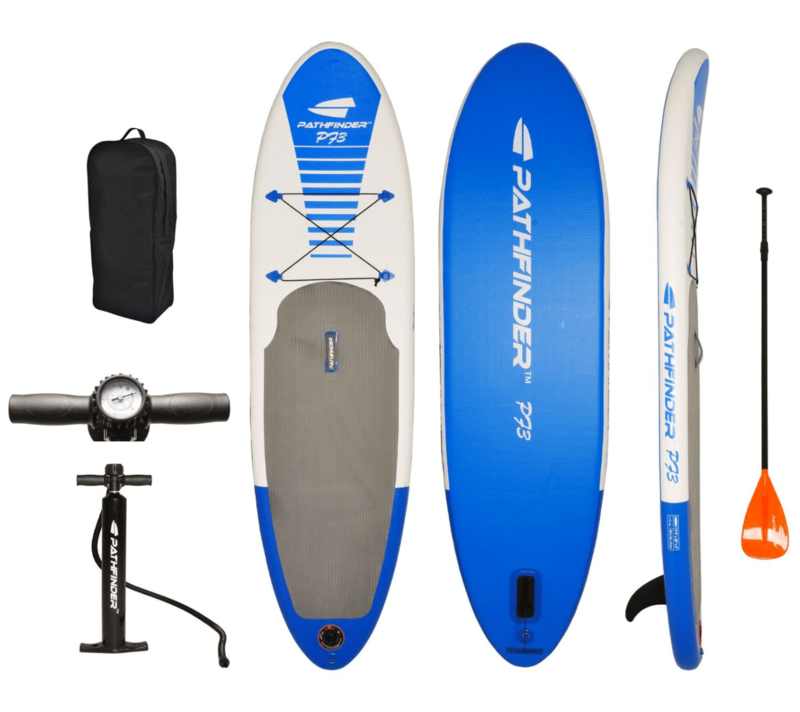 The Pathfinder is about your lowest budget entry point into an inflatable stand up paddle board when you need to save a few bucks. Great for general open water paddle boarding use. Large padded deck, D-ring for your leash, and a bungee for securing extra cargo. Includes: Pump, aluminum adjustable paddle, detachable center fin, valve wrench, and a carrying bag (with shoulder straps). 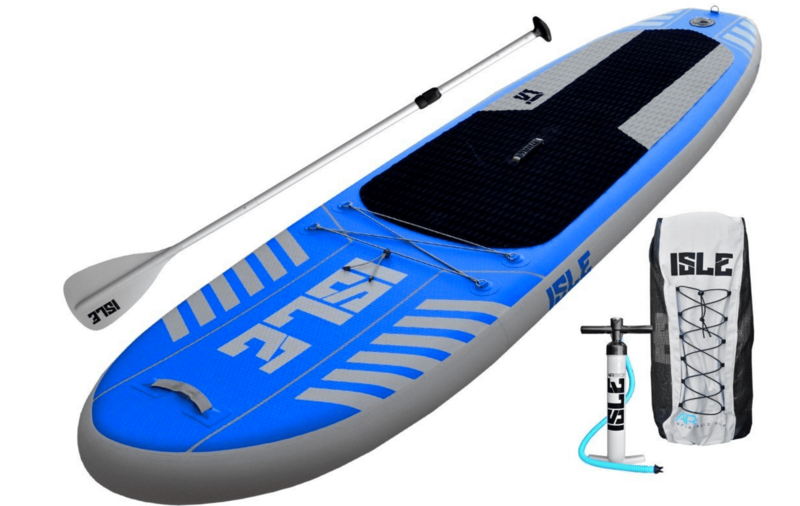 The Verdict: Lowest price point inflatable paddle board! This is a super lightweight inflatable which is great for packing around or if you have to hike a ways to get to your destination. It is ultra durable, handles a good amount of weight (240 lbs) and comes with a 30 day full return policy. Best For: durable travel board. Dimentions: 10′ x 31″ x 6″. It is up to 30% Lighter (Only 18.6 Lbs.) and Stiffer along with more durable. Has an all around design so it is great for flat water, small waves, or river runs. Can support riders up to 240 Pounds. Deck bungee for extra gear with a nose mounted handlece! Super high durability! No worries about damage or dings. You can run it over with a car, throw it off a cliff or ram it into a piling, the military grade material is almost impossible to damage. Comes with: 3 piece adjustable aluminum Paddle, travel carry pack, high pressure pump with gauge, removable fin and a repair kit. 30 DAY RIDE AND LOVE IT GUARANTEE – Ride it and Love it or Return it! If you don’t love your board we will take it back! We stand behind every product we make 100%! The Verdict: Great all around board that is durable!